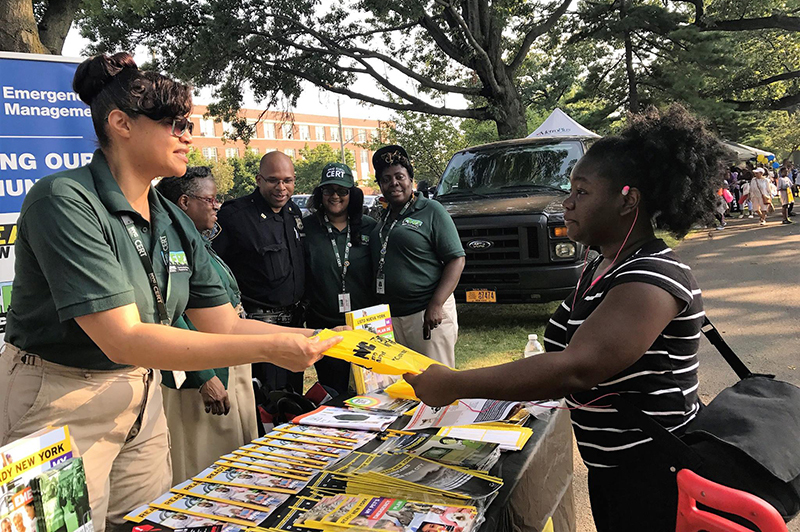 NYC CERT is always looking for new volunteers who want to help their families, friends, neighbors, and communities before, during, and after emergencies. You must be 18 years of age or older, live or work in New York City, and pass a NYC Emergency Management background check. Complete background check and code of conduct forms found within the NYC CERT online database. Get connected with your local team leadership. If you have trouble registering, please contact NYC CERT. The NYC CERT program receives your application. After reviewing your profile, NYC CERT program staff will put you in contact with your local CERT leadership. If you don't hear from your team leadership in about two weeks, contact them through your volunteer profile. Speak with team leadership prior to attending the training to make sure your expectations meet the expectations of the program. Once approved to attend CERT basic training, you will be sent an acceptance email that includes a registration link. You must be enrolled in the training cycle by self-registering through the provided link. Please note that there is no cost to the participant to attend training. NYC CERT instructors are active FDNY, NYPD, and NYC Emergency Management personnel. A student must attend at least eight of ten classes (orientation is counted separately) to be eligible to graduate.